Thick and creamy, this versatile cashew ricotta cheese is ready in as little as 10 minutes and tastes fantastic! As vegans and those eating a plant-based diet, you will be happy to have this easy, vegan cheese in your culinary library. Vegan cashew ricotta cheese tastes just like the ricotta I was accustomed to for many years before becoming vegan. 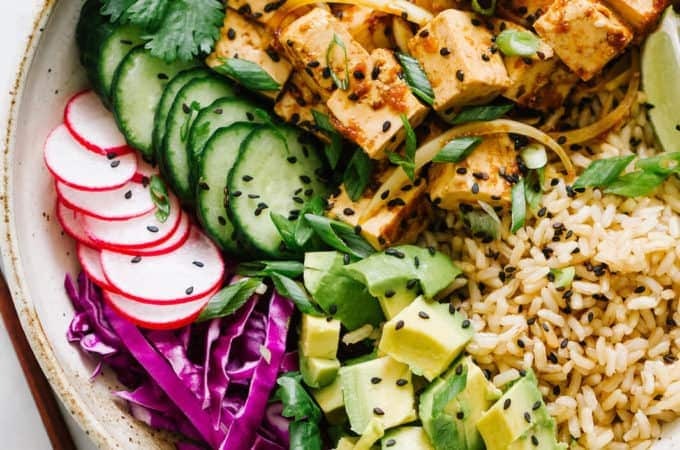 It’s soy-free (no tofu) for those limiting their soy intake, and is a simple recipe with lots of possibilities. Add your own tastes to this basic cheese by adding herbs and spices to suit your taste. Use this vegan ricotta cheese in Lasagna, Manicotti, or Stuffed Shells, as a topper for crackers or as a spread for sandwiches. I’ve even used it in a Persimmon Ricotta Scone recipe that came out wonderful (I omitted the pepper, onion powder and garlic for the recipe). You can use this with a few adjustments for any recipe that calls for ricotta. 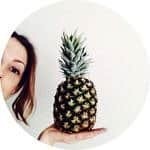 The ingredients for this vegan ricotta cheese are very common making this a great basic recipe for anyone starting out experimenting with vegan nut cheeses. 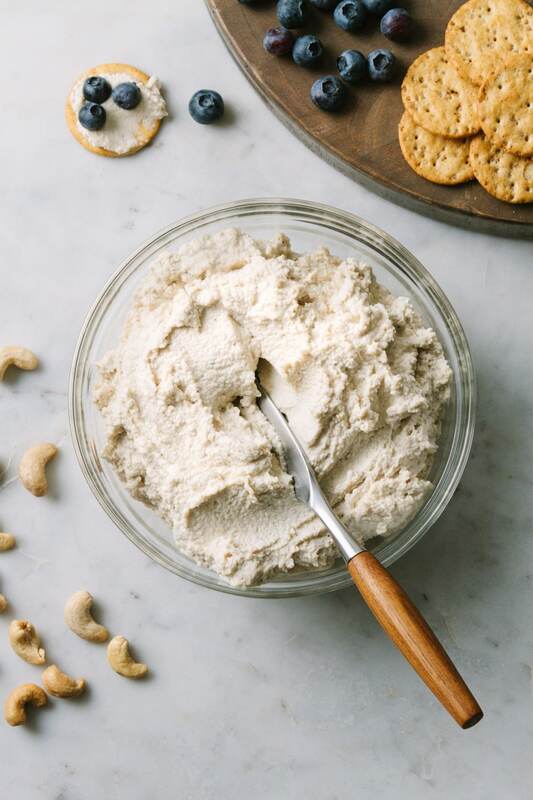 Make yourself some fresh cashew ricotta cheese. Taste and feel the difference compared to processed cheese products. You will not be disappointed! Soak cashew in cool water for 2 – 3 hours, drain and rinse. For a quick method of soaking, let cashews sit in hot water for 5 minutes, drain, rinse and continue with recipe. This will help soften the cashews by plumping them up with water. It’s also said to be beneficial for digestion and mineral & vitamin absorption. 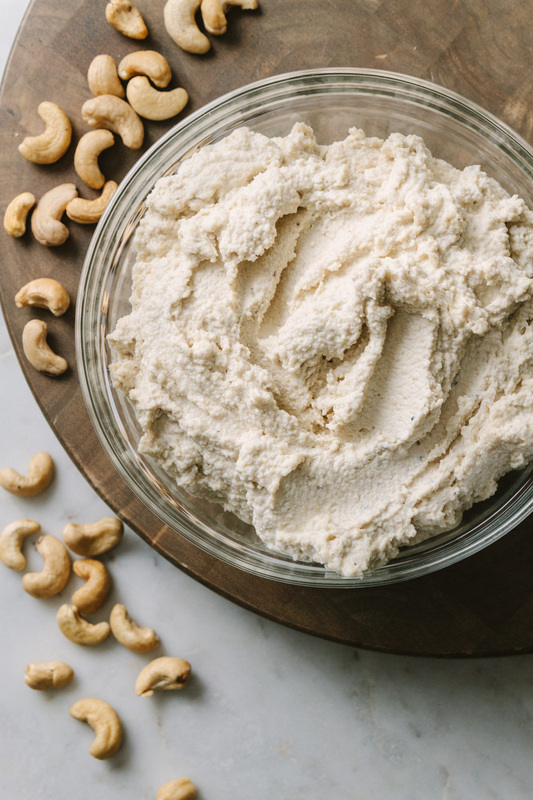 If you’re in a hurry, you can still make this cashew ricotta cheese successfully without soaking. You just may need to add a bit more water while blending. Step 2: Next, place cashews, lemon juice/apple cider vinegar, garlic, onion powder, salt, and pepper in a food processor/blender and blend until creamy. Place in a covered container and place in the fridge until ready to use. Or use right away in any recipe calling for ricotta cheese. And that’s it, vegan cashew ricotta cheese make easy and delicious! You may find yourself eating it right out to the bowl. Enjoy everywhere you would use ricotta cheese! 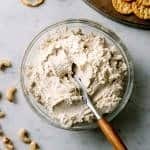 Vegan cashew ricotta cheese can be stored in refrigerator for up to a week in a covered container. It can also be stored in the freezer for up to 2 months in a freezer safe container. A fabulous replacement for traditional ricotta. Use it anywhere you would use ricotta. 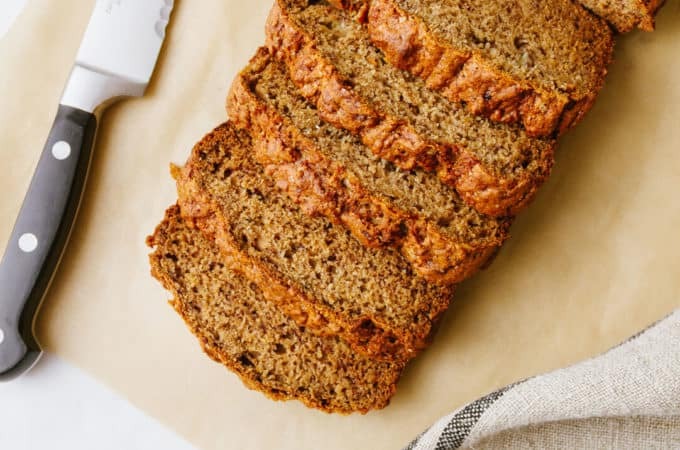 This will be a welcome addition to your plant-based lifestyle! 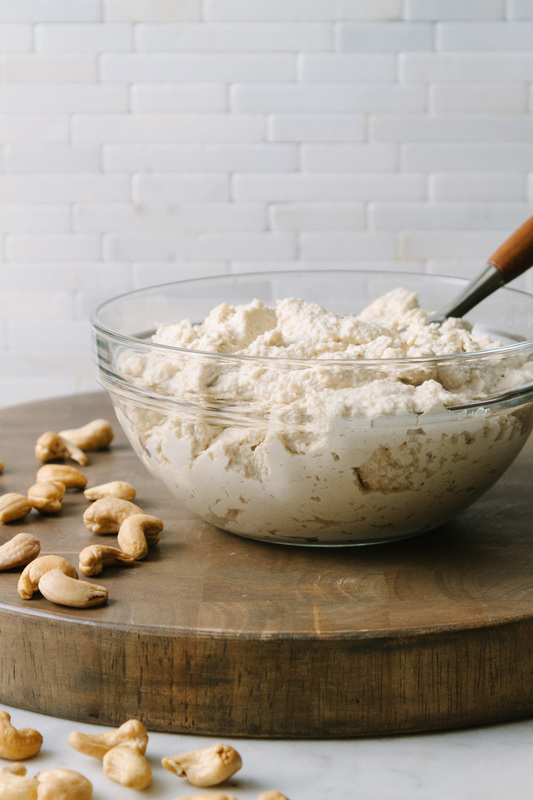 Soak cashew in cool water for at least 2 hours in a bowl of water, covering the cashews about 2 – 3 inches of water as they will swell up. For a quick method of soaking, let cashews sit in hot water for 5 minutes. Store in an airtight container in the refrigerator for an hour or two, this will stiffen the mixture a bit. You can also prepare your dish straight away without refrigeration if needed. Refrigeration will thicken the mixture a bit. If it becomes too thick, add a tad of water and mix well. Store in refrigerator for up to a week, or store in the freezer for up to 2 months in a freezer safe container. You could do just as well without the nutritional yeast if you don’t have it. I only added a small amount, probably pretty unnoticeable. I will be trying more next time to play around with it a bit. 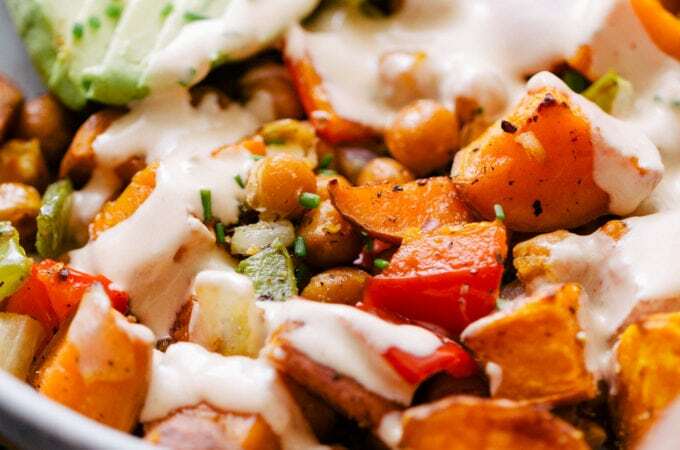 If you do add it, it will add a bit more cheesy flavor and some good nutritional value. If you have trouble with the mixture blending on it’s own try this because it’s too thick, add a little extra water.